Ballarat's world class food and wine experiences and handcrafted products will get promoted with the expansion of Melbourne Food and Wine's Festival's Crawl ‘n' Bite concept and the launch of the Made of Ballarat Pop Up Shop in Melbourne. The events are expected to aid in the promotion of tourism in regional Victoria. The Melbourne Food and Wine Festival's Crawl ‘n' Bite series has earned a cult following amongst diners who sample the best of Victoria's food and drink over three separate venues in one evening. 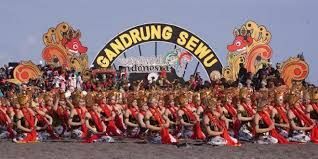 Banyuwangi's wonderful cultural festival, popularly known as the 2018 Gandrung Sewu Festival, attracted the attention of Arief Yahya, the Ministry of Indonesian Tourism after declaring that the major dance festivity of people will be included in Indonesia's national 100 event calendar. The Tourism Minister declared it after he personally took part in the festival at Boom Beach in Banyuwangi on Saturday, October 20. He stated that the ministry's team of curators had seen Gandrung Sewu's annual and constant improvement.